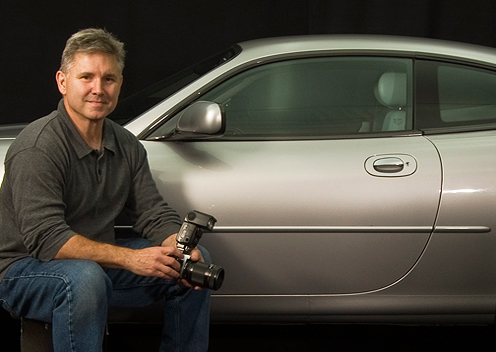 Welcome to Newtowne Productions, an automotive photography service. We bring to life the personal passion you feel for your vehicle and help you express that passion! American automotive history is well documented and has become part of the fabric of our culture. This fabric weaves its way in and out of our experience in many ways. It might be a new found freedom to go farther and faster, or a personal expression of style, and for some, a sense of pride and ownership which says who we are. Capturing the emotional and aesthetic power of the automobile is our mission at Newtowne Productions. My passion regarding my own vehicles revealed to me that "it's not just about how you see your car, it's about how you feel about it". I put that belief into my photography, and strive for that with each customer's connection to their vehicle. The passion and history you have with your car or bike, and understanding the personal experience you've had with it are the elements I integrate into any of the products that you might choose from the photo session. Your own personal connection is embedded into the prints, calendars, coffee table books, posters, signage, or magazine covers. You decide how best to tell your story through your product choices. In addition, a 10 to15 minute DVD documentary can be commissioned which highlights your story with a on camera interview and photos from the photo session and other items you might want to include! The DVD makes a great historical legacy for you, your family and succeeding generations. Be sure to click on the Video Gallery button and learn more about how we can document you and your ride. We can shoot on location or in studio and can discuss the options during the consultation. With over 25 years of graphic design, photography and art direction combined with technical post production know how, I strive to bring a sense of craftsmanship to the finished product. I have enjoyed a life long interest in all things automotive and would feel honored to photograph your car or motorcycle. I am currently restoring a vintage Corvette and a Harley Davidson Sportster. I still own my first car which I purchased with my father while in high school. Be sure to check out a sampling of my work on the Photo and Video Gallery pages, and to call for a consultation and to book your appointment. As always, thanks for your interest.